I was not expecting to like Mortal Kombat X nearly as much as I did. As a predominantly Street Fighter player, I found the last Mortal Kombat, as good as it was, a little on the clunky side. Fighters moved with too much weight and too little grace and speed. That’s not quite the case with MKX, which is fast, fluid and has been on my mind since I played it at Gamescom. You’ve probably seen a couple of videos of the game or watched its trailers, but here’s 10 whole minutes of glorious, brutal Mortal Kombat X action out of PAX this weekend. The only problem I have with how good the game looks, is that it starts getting a bit too real. Yes, I know its fantasy nonsense, with magical ninjas and made up gods battling it out, but the action is visceral brutal, with the over-the-top violence looking too realistic. Still, I’m excited. It’s fare less sluggish-felling than previous MK games, and doesn’t rely as much on canned combos. It’s the depth afforded by the variations system though – that essentially turns each character in to three – that has me most keen. I can’t wait to use Raiden’s very technical Master of Storms variations, which allows him to place a bunch of lightning traps. Here’s a couple of matches with Scorpion and Sub Zero, showing the variations – along with some Raiden and Kano action. 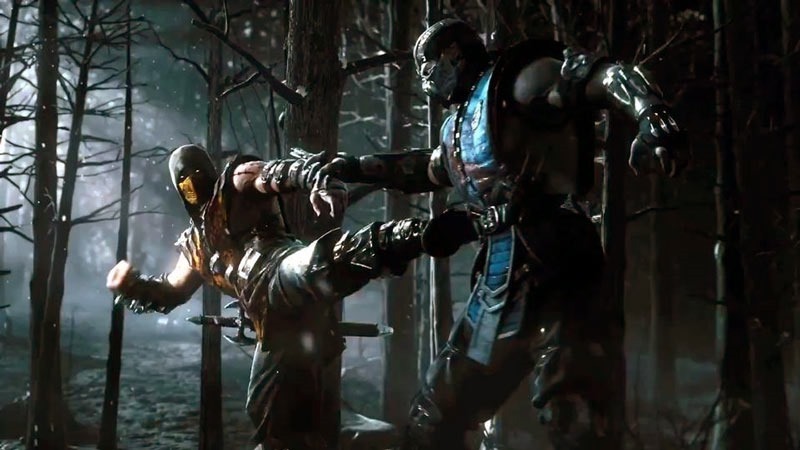 Mortal Kombat X is coming to PC, PS4 and Xbox One and yes, the old systems sometime next year.